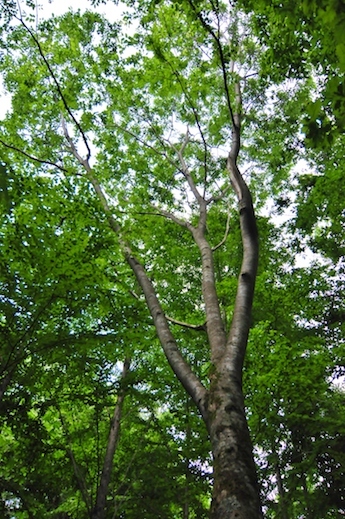 The keyaki (Zelkova serrata) is native to Japan, Korea, China and Taiwan. Keyaki were taken to Holland in 1830 by Philipp Franz von Siebold, and has since been planted, especially as city shade trees, all over the world, to cities like Toronto in Canada and New York in America. In America and Europe, keyaki has in place replaced the tall stately elms, formerly so common as city trees, which have been devastated by the Dutch elm disease. Keyaki is highly resistant to this beetle-carried fungus sickness. 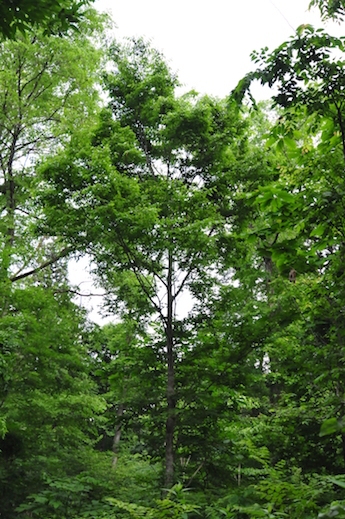 Keyaki trees are deciduous, with short trunks from which spread many erect branches to form a roundly topped crown. Keyaki can grow to about 30 metres in height. It has simple ovate or oblong in shape, serrated along the edges. Keyaki grows tight groups of small, yellowish-green flowers, producing small drupes, 2.5 to 3.5 cms. The keyaki is a wonderful shade tree, with its leaves not only giving shade, but also actually cooling the air through evaporation of water through the leaves. In autumn the leaves turn yellow, orange or red, another reason why they are popular as ornamental park trees in America and Europe. It likes sun and moist, well-drained soil. Our forester Mr. Matsuki planted a grove of keyaki about twenty years ago in our Afan woods and they are growing well. The upright ‘banzai’ branches shed the snow well. In a few years we will have to decide whether or not to go through all the work of transplanting some of them, either that or we will have to trim some of them out in order to let the remaining trees grow thick and strong. 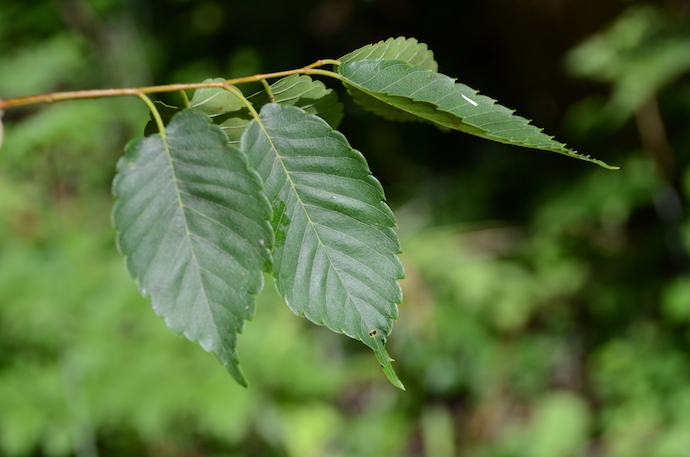 Fossil records tell us that the genus zelkova was once common in ancient Northern Europe and North America during the Pliocene period (5.3 to 2.6 million years ago) but they vanished during the ice ages. Keyaki produce strong, finely grained timber, used for furniture and, in the past, for very fine flooring in traditional Japanese houses. Keyaki are also ideal for making the great Japanese taiko drums. Keyaki are also a favoured tree for bonsai. Big, mature keyaki trees are probably more common in big modern Japanese cities than they are in the wild, so I wonder in the future where they will get tree trunks big enough to make the great taiko drums in the future?